Sometimes it doesn’t matter how big your house is; if you have a lot of stuff, it can be hard to find places to store things. And if you have a lot of possessions and live in a small space, then things are just going to be on a whole different level of difficult. But with just the right storage ideas and hacks, you can almost always figure out a way to keep things organized and clutter free. Now below I’ve found six awesome storage ideas from some great lists. I wanted to include the list I found them from since I like giving my reader the option to click through and see more tips. But if not, then feel free to just check out my top six storage hacks that I’ve found from these sources. Use adhesive hooks to hold up bulky items: What I like about this one is that adhesive hooks are easy to come by (and not expensive). Also, you’re not married to the arrangement; you can easily take the hooks off and place them in a different way to vary up the look of our kitchen (or any room in general). Check out more storage ideas from Buzzfeed here! Wall file attached to cabinet door: I really like this one since it feels like it’s something a lot of people can do. It’s not just some fancy and expensive organizing solution, it’s just plain practical (and doesn’t look bad either). So store those lids in there and keep things just a bit more tidy in your small spaces. Take a look at more storage ideas here! Your bedroom and hallways can get a big overrun with shoes depending on the season. But a great way to take care of that is to get an ottoman like this one. It stores your shoes and keeps them out of the way while giving your room a nice look. Check out the other storage ideas here! It seems as though removable adhesive is your friend when it comes to storage. Just place some on the back of containers to hold what you need and keep things clutter free (it also gives you more space to save things down below your sink. – Check out the tutorial here. Read more of the storage ideas here! Use door knobs to hold items in the walkway (or anywhere really):Wait, you’re giving us more wall storage ideas? Um.. yeah. It just gives you more room to place things in your closet and pantries without you spending a hundred bucks on an ok looking shelf. And I like this one a lot since the door knobs look pretty darn cute. – Take a look at the tutorial here. Check out the rest of the storage ideas and organization hacks here! Now if you have kids, this one is handy. Just make an upholstered bucket ottoman to create a nice design and place to sit for the room, while holding their toys. Read more storage ideas from Passion for Saving here! Organization can be a bit tricky wherever you live, but if you have some simple and easy tips and tricks to help you out, you can minimize clutter and maximize your space options. So hang some things on the wall and hide those messy toys; give yourself some room to breath in your own home. 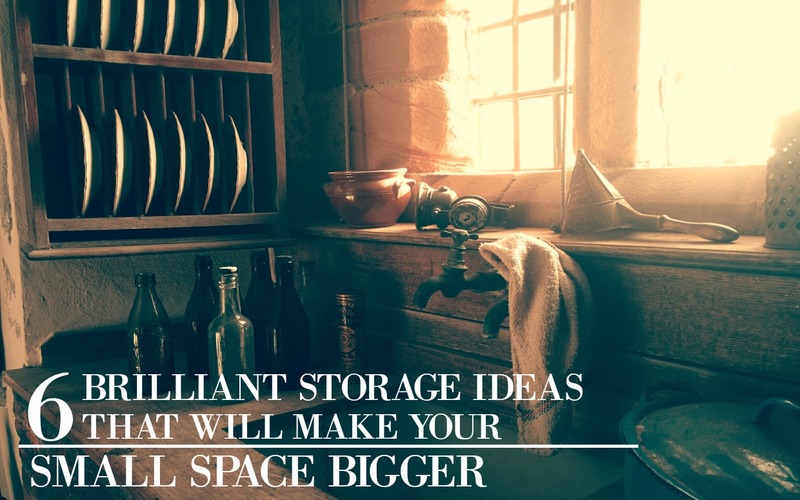 Now if you have any storage ideas yourself, let me know in the comments below, I’d love to hear about them! I love these ideas. They are inpressive. i love the kids storage container , so cute ! smart too…..
For parents of little boys with HotWheels, stick a magnet strip along the edge of a shelf, wall, etc. And the hot wheels will line up nicely and off the floors.